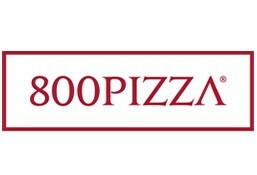 800 Pizza is currently closed for delivery and it will open at 10:30 AM today . Lettuce, rocca, cherry tomatoes, fresh mozzarella, mushrooms, artichokes, oraganic eggs, taggiasche olives, dressed with organic pdo evoo from the region of umbria, italy. Layers of egg pasta filled with our home made bolognese & bechamel sauce flavoured with pdo parmigiano ``reggiano`` & mozzarella. This is the queen of the pizza world, made with buffalo mozzarella, special s. Marzano quality tomato sauce, fresh basil and extra virgin olive oil. Simplicity and freshness is key here. Lioth & creamy vanilla, flavored derrert, served with mixed berrie. The ultimate Italian snack; These special ''arancini'' have a crispy shell and a juicy risotto or pasta filling. 4 pieces delicate mashed potato croquettes & mozzarella cheese. Traditional oven baked bread with garlic & rosemary. Golden fries with 2 ketchup sachets. Al pomodoro oven baked bread slices with chopped tomatoes, basil, garlic (2 pcs). Traditional italian mix vegetable, rich in healthy fibers, vitamin a & k, drizzled with organic extra virgin olive oil ``pdo umbria. Legumes soup, hearty & rustic, rich in fibers and lean protein, drizzled with organic extra virgin olive oil ``pdo umbria. Green lettuce, rocca, cherry tomatoes, dressed with italian organic pgi balsamic vinegar from modena & organic pdo evoo from the region of umbria, italy. Tomato slices, buffalo mozzarella from caserta (south italy), basil leaves, taggiasche olives, extra virgin olive oil. Oven baked artisanal cannelloni pasta hand filled with fresh italian ricotta cheese and fresh baby spinach. Traditional rish from bologna (north italy) made with fresh minced beef tomato sauce, parmesan. Fusilli asta with fresh tomato sauce & cream(pink sauce),flavoured with garlic, basil & italian chilly seeds. White creamy sauce with italian pdo. Gorgonzola cheese (very mild italian blue cheese) topped with crushed walnuts, parmesan. Very light tomato sauce flavored with onion, parmesan & basil. Very light tomato sauce flavored with garlic & parsley. Penne pasta with chicken in a delicate creamy sauce. This pasta is default with Penne Rigate Pasta. Pesto sauce base, italian mozzarella, oven baked vegetables & sun dried tomatoes. Tomato sauce, italian mozzarella, parmesan,basil leaves. Tomato sauce, italian mozzarella, beef pepperoni extra punch, italian beef salami, taggiasche olives and mushrooms. Tomato sauce, italian mozzarella, italian beef bresaola ``rigamonti``, rocca, pdo parmigiano shavings. Italian mozzarella, grilled chicken, oven roasted bell peppers & red onions, taggiasche olives. Pizza prosciutto e provola-smoked provola & turkey ham our best selling cheese base pizza with mozzarella, smoked provola cheese and specially selected turkey ham. Italian mozzarella, italian porcini mushrooms, smoked provola cheese, oven roasted garlic. Italian mozzarella, tomato sauce, turkey ham, taggiasche olives, mushrooms, artichokes, hard boiled eggs. Tomato sauce, mozzarella cheese, fresh mushroom & parmigiano cheese. Tomato sauce, italian mozzarella cheese, mixed seafood, garlic & parsley. Mozzarella, gorgonzola, emmental & parmigiano. Made of pizza dough, mozzarella cheese. Cheese topped with crushed hazel nuts. A very appetizing potato croquette made of mashed potatoes & cheese + a child portion of ``disney`` pasta in our home made bolognese sauce. Two crispy chicken fillets, mashed potatoes & cheese croquette, green peas. Rich chocolate flavor with a pudding-like center that is dense, moist & rich in a warm velvety dark chocolate. Home made traditional italian tart with nutella ferrero.